Today is the opening day of the 2017 London Boat Show. The exhibition opens everyday at 10.00 from today 6-15th Jan at Excel, London. As usual you can step on-board the latest models of yachts and powerboats and get your hands on all things ‘boaty’ from the large list of exhibitors. The main stage will have celebrities and guest speakers taking part in activities like the Daily Boat Show Brunch and A Question of Sailing. Sky Sports presenter Alec Wilkinson will be hosting an interactive quiz show filled with fun, facts and more celebrity sailors. Highlights of the show include the immersive 360° head sets where you can see day to day life on board a Clipper Race yacht in extreme conditions. Once again Rockley Watersports will be in the Boating Lake offering visitors the chance to get involved – try your hand at a Sit on Top Kayaks, Paddleboard, the 5 min Powerboat Challenge or ‘Waterwalkers’. 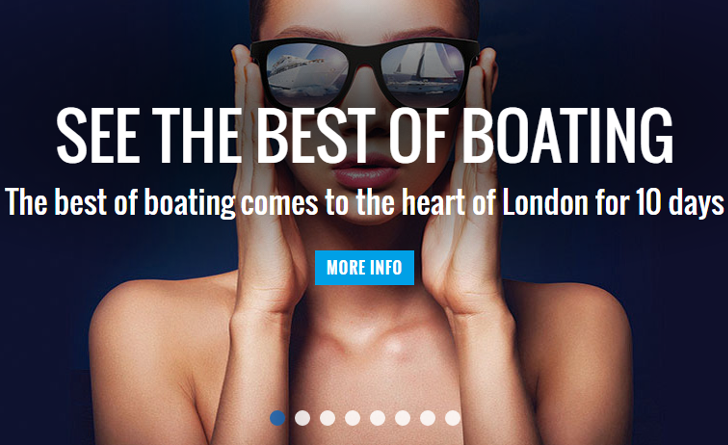 Whilst the London Boat Show is a ticketed event, children 15 years and under get into the show for FREE. A brand new attraction for 2017 are the ‘Bumper Cars’. For £3 children can steer their own boats and fire water cannons. Sponsored by Sunseeker in support of Macmillian Cancer Support. This weekend you can also watch ‘Titan the Robot’ which is a family entertainment show. ← Congratulations to our competition winners!